Pee pads can be a great way to housebreak your puppy, but it does take patience to train a dog to use them properly. 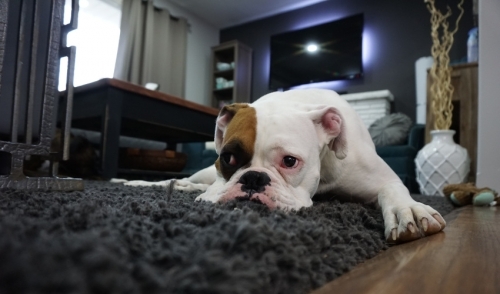 Being consistent with your pet and positively reinforcing your expectations for their behavior can help you use pads to successfully housebreak your dog indoors. You live in a highrise apartment and your dog may not be able to wait until they are outside before eliminating, particularly in the morning. You have a small breed dog and live in a harsher climate, and the dog may not be safe or comfortable going outdoors during the coldest winter days. You are older or less able to quickly take your dog outside if necessary, or you are away from home for work for long hours and the dog cannot go outside itself. When training with puppy pee pads, consistency is key to teach your dog what is expected. Choose the right area for the pads. Avoid placing pads in high traffic areas or near food, such as in a pantry or kitchen. Ideal places are rooms with hard floors that can be easily cleaned, such as a laundry room or bathroom. The pads should be always accessible to the dog, without assistance (no closed doors, etc.). Time your puppy's potty breaks, and take them to the pad 10-15 minutes after every meal, after waking from a nap, or whenever they start sniffing or circling to look for a spot to eliminate. After they have used the pads, praise them and offer a treat to reinforce their good behavior. If you are not home with your puppy, confine them in a small area that includes their pads so they can learn to use them without guidance. It may be necessary at first to cover the entire pen area with pads, gradually removing pads and reducing the potty surface as they learn where to eliminate. Use verbal commands whenever you put your puppy on its pads, telling them to "go potty" or "do your business" to reinforce the purpose of the pads. This training will also be useful when walking your dog. When they follow those commands, praise them. Be consistent with your pet. Accidents will happen, but puppies will quickly learn where the preferred potty area is and as they become accustomed to it and gain greater control over their bodily functions, they will be well trained. Accidents will happen, but a few accidents do not need to derail your puppy's pee pad training. 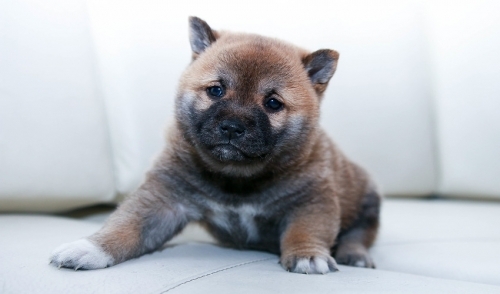 When the puppy misses a pad, do not scold or punish them, especially if you catch them in the act – doing so will only create stress and fear, which will make it harder to train them. Clean up accidents quickly and use odor-elimination sprays or wipes so the dog does not associate that same area with future potty needs, and take a dirty towel and wipe it on the pad to give some odor clues to your puppy about where they should potty. Above all, be patient – puppies are like small children and need to practice over and over as they learn what you want, but they do want to please you. Once you have trained them to use the puppy pee pads, you'll be pleased at the convenience, and both you and your dog will be happy!